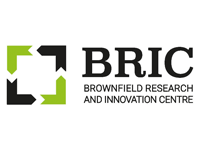 We are pleased to announce that the Brownfield Redevelopment: Midlands 2019 conference will take place on 3rd July in partnership with the Brownfield Research and Innovation Centre (BRIC). This informative one-day event will bring together local authorities, developers, policy-makers, landowners, remediation companies, and other stakeholders to explore solutions to key challenges, such as: overcoming the obstacles to brownfield land availability; managing contamination risks and accelerating the SI-remediation-development process; and finding suitable financing mechanisms to reduce the risks of brownfield development. With a specific regional focus on brownfield development projects across the Midlands, the programme will demonstrate best practice in implementing technical and planning policy, as well as practical case studies of "real-life" projects. Extensive networking breaks and Q&A sessions will provide an opportunity to both make new, and reinforce existing, contacts, enabling you to engage with others looking to find ways to unlock brownfield land and maximise growth and delivery. A full programme will be announced shortly. This conference is suitable for all those with an interest in brownfield and contaminated land including local authorities, brownfield and planning & development consultants, landowners and remediation & building contractors. Practical advice - Hear from a panel of expert speakers, all carefully selected to provide balanced and informative overview into the barriers preventing the viability of brownfield sites and how to successfully overcome them. Case studies - Benefit from case studies demonstrating the complex technical and commercial challenges encountered when acquiring and developing previously used land, and how to combat them. Learn from hands-on experience and come away with best practice that you can apply to your own projects. Share and engage - In addition to new and topical presentations, there will also be a number of Q&A sessions throughout the day, giving you the opportunity to have your own specific questions answered; discuss key issues and share experiences with fellow delegates. Networking - With a diverse audience who share an interest in brownfield redevelopment across the Midlands region, this conference provides the chance for you to meet and mingle with professionals in the sector and potential development partners, raise your profile, attract new clients, or simply catch up with your peers. CPD accredited - This event is CPD certified. Sponsoring or exhibiting at Brownfield Redevelopment: Midlands 2019 provides you with an excellent opportunity to connect with respected members of the environmental sector, to build brand awareness and show your company’s support and affiliation for the brownfield sector. Our events reach many key audience segments and provide an engaging platform for you to reach clients and potential employees. To learn more about the full range of exhibitor and sponsorship opportunities call +44 (0)203 637 2191 or email sales@environment-analyst.com. *SMEs with less than 250 employees located in the Black Country districts of Dudley, Wolverhampton, Walsall and Sandwell are entitled to attend the conference for just £147 (a saving of £103). **If you are from a Black Country SME, local authority or other public organisation please email us at sales@environment-analyst.com or call +44 (0)203 637 2191 to book your discounted place. If you are from a Black Country SME, local authority or other public organisation please email us at sales@environment-analyst.com or call +44 (0)203 637 2191 to book your discounted place.